We have been Amazon Prime members since we became parents. Diapers always magically appeared on our door step thanks to Amazon Family. (We also saved 20% on those diapers and wipes! And vitamins! And more!) Prime continues to be good to us. We never pay for shipping, gifting is super easy, and we store all our pictures in the cloud there, too. We use most of what Amazon Prime has to offer, including Prime Music, but every now and then we come across an album or song that isn't included. Most recently it was the soundtrack to the My Little Pony Movie - Friendship is Magic. Our daughter asks for it every time we're in the car...if you have a kid then you've been there. You know. We can holler at Alexa (great for driving!) through the Amazon Music app for hand-free music selection. Songs can be downloaded onto our phones. Songs can be played in offline mode so we don't drain our data when we're away from WiFi. I haven't yet come up with a song that I couldn't find in that library. Here's what we have to say about the free trial so far, and whether we plan to actually pay for it! Pardon the giggles and the extra appendages...our daughter wanted to join the fun. There are lots of good options out there when it comes to safe(r) sunscreen, but they vary in some specific ways. 1) Zinc Oxide and/or Titanium Dioxide as the active ingredient. These are minerals and block the sun using a physical barrier on the skin. 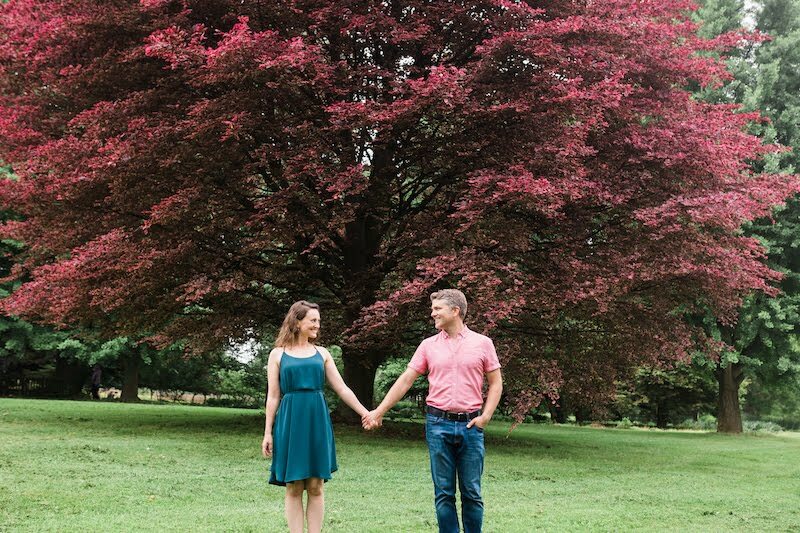 They offer excellent UVA protection and do not disrupt or mimic our own hormones. You and I both know that products that have the words "organic" and/or "natural" can garner some excruciatingly high price tag. You do get what you (often) pay for, but I admit that I want the safe ingredients without breaking my budget. So which do I choose when it comes to our sun protection? It uses Zinc Oxide as the active ingredient. It applies easily and rubs in well. It's free of yucky ingredients like parabens, phthalates, PABA and 1,4 dioxane and formaldehyde. Grab your safe sunscreen here. I love Acure Organics. I use their line of skincare on my face, I use their shampoo on my hair (and my 5-year-old daughter's!) This line uses great ingredients and is very reasonably priced for a brand that contains so many organic ingredients. Right now on Amazon, you can purchase four full-size products for only $19.99 - a savings of almost 50% buying the products individually! These four items are my personal favorites of their skincare line - though I'd add in their night cream as well. Have you tried this brand? Are you going to get a set? 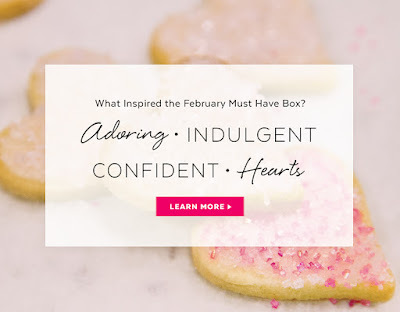 PopSugar February Must Have Box Spoiler! I love anything coconut, so I'm really excited to try this lotion. I'm curious to find out what the ingredients are, though, and how much actual coconut milk there is!) What do you think of the spoiler? Are you going to get the February Box? PopSugar just released the inspiration behind the February box! Curious to know what kinds of things come in the PopSugar Must Have boxes? Check out my review of the January Must Have box here. I was amazed at all that was packed into this box! Each box comes with a fold out card with details on each item and their retail value. There's usually a website listed for each item, too. There were seven total items in this month's box, with a total retail value of about $120. Right: Project 7, Inc Summer Snow Sugar Free Gum. This gum is super fruity and tasty. What I love most is that proceeds from every 7th pack goes towards anti-bullying. Back: Not Soap, Radio bath and shower gels. These are super fun, travel-sized, and have fun names that match different moods. I may be gifting these, because they contain artifical colorants that I try to stay away from, but they smell amazing and they don't contain any sodium lauryl/laureth sulfates, which is something I look for in my bath products. All in all I think this has a great value at about $120 and goes well with a new year/new you theme. As of this posting, the January box is still available. Get yours here. "Have you ever considered that humor is essentially creativity? Check out stories and insights from TED speaker Hannah Brencher, renowned artist Chad Crowe, comedic writer and improv artist Lisa Warsinske, Indian classical vocalist Srivani Jade, multi-entrepreneurial duo Andrew and Sarah Zahn, poet Farah Abdul, and our two young minds, Madhurum Bhuvan and Nadiya Narula! All set to the backdrop of Devasmita Chakraverty's keen-eyed photography." This fantastic ezine is put together by a wonderful group of professionals and we're honored to have been part of this month's publication. 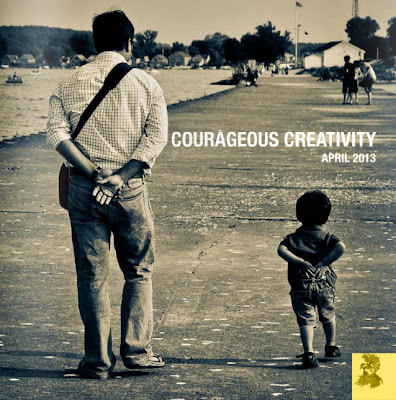 Just click on the Courageous Creativity picture below to read the ezine. We're on pages 18-22. Enjoy!